Peel and chop apple. Place in bowl with a drop of water. Microwave on high for 1 minute. Stir, microwave for 30 seconds longer. Cool apples! This step is to make them the same texture (soft) as the avocado. While your apples are cooling, mix together honey, vanilla, and cinnamon, until well combined. Drain any water from your bowl of apples. Chop your avocado and add it to the apples. 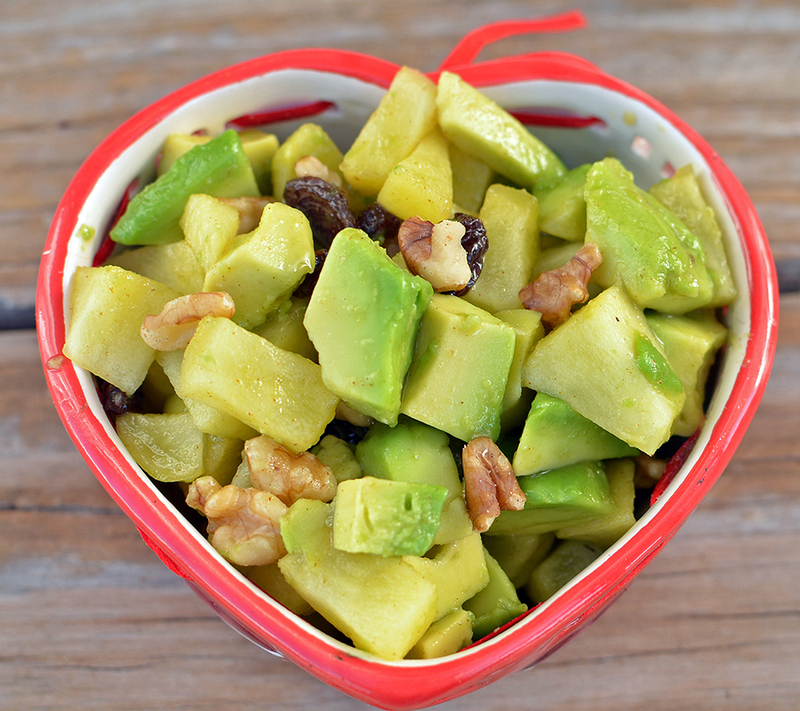 Pour honey sauce over avocados and apples. Add raisins and walnuts, and stir gently. Add a hard boiled egg and some whole wheat toast strips to make this a balanced breakfast, or serve as a side dish any time of day.